I was feeling so inspired by the adorable children on Junior Masterchef last night that I haven’t been able to take my mind off kids cooking in the kitchen. I don't know about you, but those kids had me in tears throughout the whole show. Most kids get excited about the thought of cooking in the kitchen: making a mess, creating concoctions, mixing, blending, rolling but most of all I think they love cooking for their families. I know I did. I have fond memories of my first cookbook, ‘The Little Monster Cookbook’ by Jan and Michael Salmon (Lamont Books). As a child, I loved the monster illustrations that accompanied the simple recipes. I still have the cookbook; I flip through it now and realise that I never really cooked many of the dishes, but I certainly pored over the pages for years. There were some recipes that I made on a regular basis: Cinnamon Toast (Mum can vouch for receiving this as her Mother’s Day breakfast year after year) and Monster Spider Drink. I can’t wait to pass this book onto Cam when she is old enough to join me in the kitchen. In the meantime, you're never to young to peruse a good cook book, so I might start her on the ‘Farmyard Tales Children’s Cookbook’. Do you remember your first cookbook? Did you see Junior Masterchef? Were you inspired to get into the kitchen with your children? Or if you’re children are old enough to stay up and watch it themselves, maybe they are eager to don an apron. I’ve put together a list of gorgeous children’s cookbooks in three categories: Current Cookbooks, Inspired by Classics and Stories & Recipes Unite. I hope you find something that you can share with your children. Maybe they’ll love one of these as much as I loved ‘The Little Monster Cookbook’. This stunning cookbook is colourfully presented and will definitely appeal to kids. The 40 recipes have been designed to make cooking easy for kids, but they’ll also love eating their creations. Instructions are detailed so kids know when they need Mum or Dad’s help. My favourite feature is the accompanying illustrations, so even beginner-readers can feel like a big help in the kitchen. Check out the Little Kitchen website where you can buy other child-friendly cookware. If your child is inspired by Junior Masterchef then you might also consider looking at the Little Kitchen Companion Recipe Journal. Kids can keep a collection of their favourite recipes and they can also practise writing their own shopping list using the shopping list writing pad. 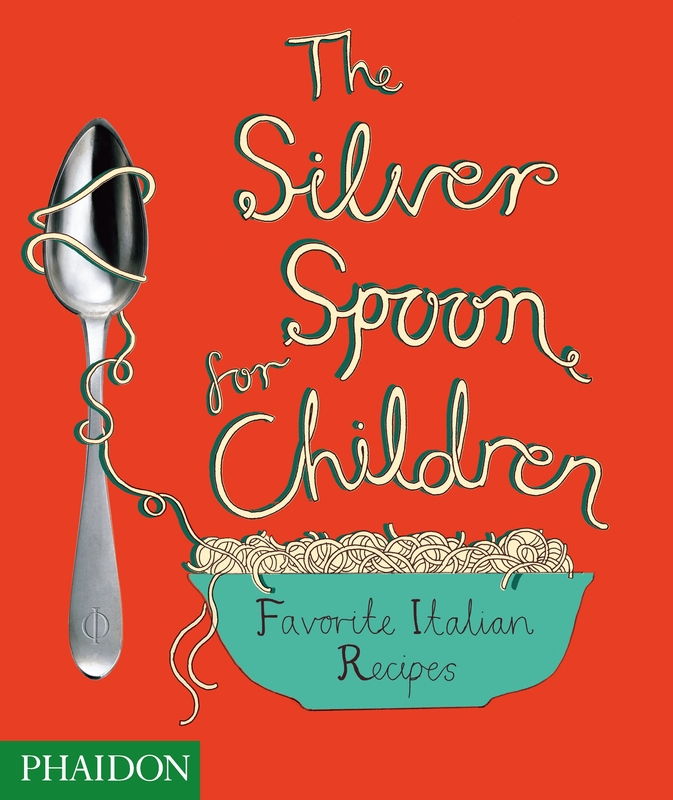 Recipes from the much-loved Italian cookbook, Silver Spoon, have been adapted to make them child-friendly. This is a very special cookbook for children, that will definitely help foster a love of good food and might even spark an obsession for cookbooks. It contains healthy recipes but also aims to build the culinary knowledge of any budding chef. Each recipe includes an introduction about the origins of the dish, fascinating facts about the ingredients and the Italian culinary culture. The book is full of information on ingredients, basic cooking techniques and gorgeous accompanying illustrations. Recipes include Italian favourites: pizzas, pastas and even roasts. If you're interested in this book check out Lorraine Elliot's blog, Not Quite Nigella,where she shares her experience of making one of the 'Silver Spoon' recipes with children. There are 100 child-friendly recipes presented in this colourful cookbook full of gorgeous food styling. Step-by-step photographs are included for some recipes. 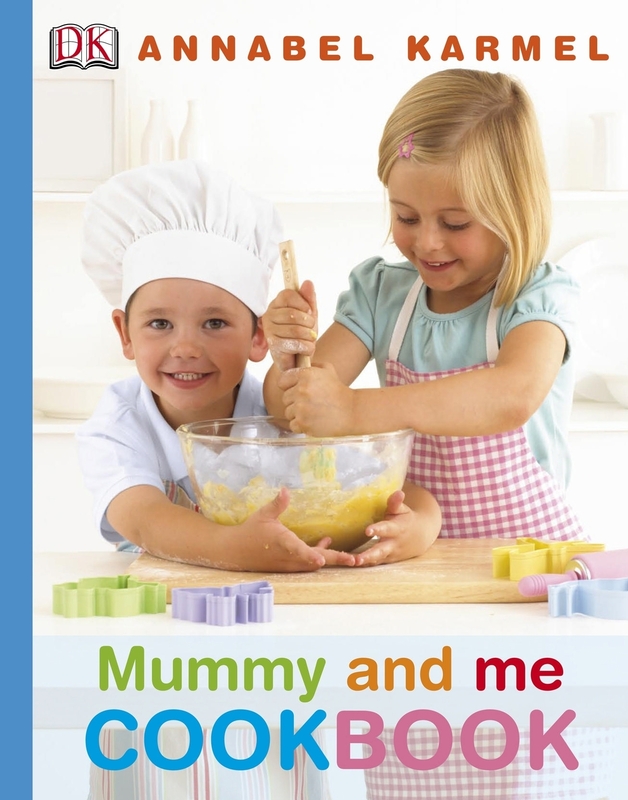 A cookbook designed to help parents work with their children in the kitchen. Recipes are simple but healthy, and designed to be basic for children to follow. The cute step-by-step photos help kids understand the recipe and also teach them basic cooking skills such as how to weigh, sieve and mix. Who doesn't love 'Wombat Stew'? The original picture book lends itself perfectly to this adorable cookbook. There are 18 easy and yummy recipes for kids, with illustrations of Wombat Stew characters. It also includes helpful information about kitchen safety, measuring and cooking terms. Felicity Dahl and Josie Fison have interpreted the dishes described in Roald Dahl’s books. Starters, snacks, main courses, cakes & desserts, drinks and confectionery all appear in this cookbook. What a lot of fun kids will have creating these recipes. Recipes include: George’s Marvelous Medicine chicken Soup, Bruce Bogtrotter’s Cake, Mr. Twit’s Beard Food and Lickable Wallpaper. Georgeanne Brennan has created a list of recipes inspired by the words and illustrations of Dr. Seuss. Each recipe includes a quotation and illustration from a Dr. Seuss book. Well known children’s author Fiona Watt has created a gorgeous cookbook for young children which shares the recipes of the endearing characters of Apple Tree Farm: Poppy, Sam and Mrs. Boot. The recipes are simple to prepare and include step-by-step instructions and matching illustrations. Some extra features include cooking terminology and final product photos. Making this book a great starter-cookbook for little readers is the little duck that can be found on every page (This is my daughter’s latest obsession for books-searching for hidden creatures). Recipes include all good farmyard fare: Mrs. Boot’s Best Carrot Cake, Apple Crumble, Strawberry Trifle, Farmyard Cookies, Sam’s Favourite Soup and Poppy’s Pizza. This is a cookbook within a cute fictional story. The main character, Eddie, needs to help his Mum cook a birthday tea with ingredients straight from the garden. The recipes are nutritious and promote the use of fresh produce. A great cookbook for budding young chefs! My Little Bookcase spends considerable time researching book prices from various online bookstores. The book stores mentioned in this post have been included because they offer affordable value. The prices and delivery costs are correct at the time of publishing the post. The information is provided for your convenience, however, you are not obliged to shop at these stores. My Little Bookcase is an affiliate member of some of these stores (See our Online Bookstores page for more details).